Downwards movement was expected, but the target at 16.673 was inadequate. Price has reached 0.967 below the target to 15.706. I expect upwards movement from here to complete minor wave 2, to maybe last a Fibonacci 13 or 21 sessions. 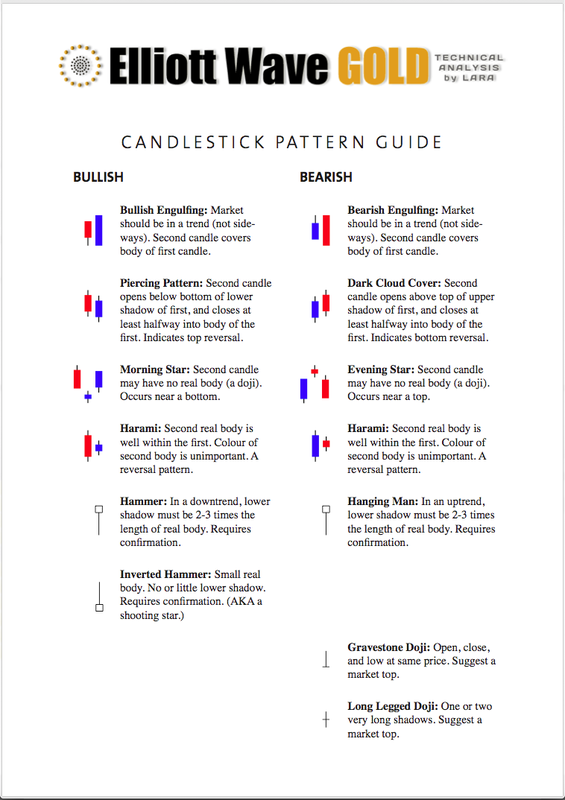 Minor wave 2 is most likely unfolding as an expanded flat correction. 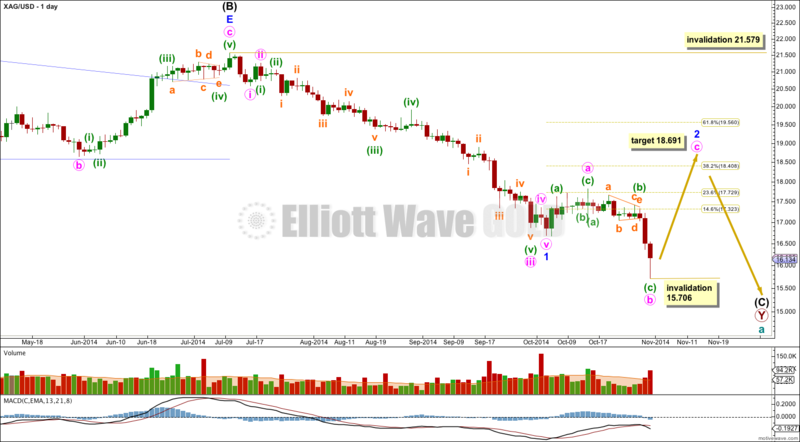 Within it minute wave b is a 186% correction of minute wave a. This is longer than the maximum common length of 138%, but less than 200% and so acceptable. At 18.691 minute wave c would reach 2.618 the length of minute wave a. Minute wave c must subdivide as a five wave structure, and may continue for a Fibonacci 13 or 21 days, with 13 more likely. Within minute wave c no second wave correction may move beyond the start of its first wave below 15.706. Minute wave b is a complete zigzag with a running contracting triangle for minuette wave (b) within it. My only concern with this wave count is the structure of minuette wave (a) on the hourly chart: if minuette wave (b) is a triangle as I have it labeled on the daily chart then it is difficult to see minuette wave (a) as a five wave structure, but it fits perfectly as a three. 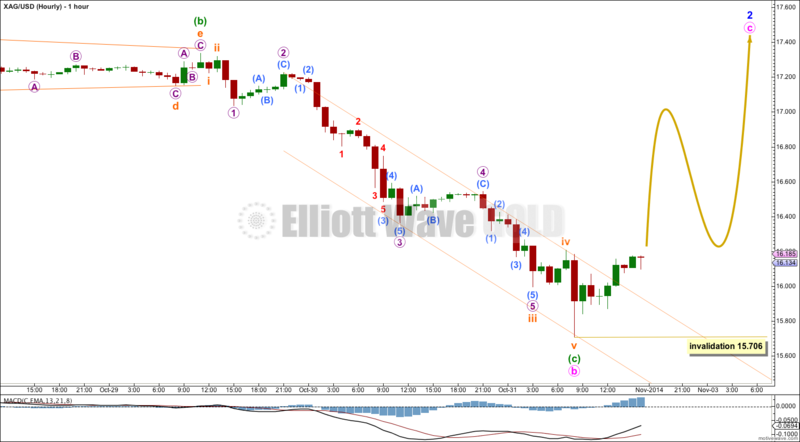 If this wave count is invalidated early next week with a new low below 15.706 it may be a final fifth wave down to complete a second zigzag in a double for minute wave b. The triangle of minuette wave (b) is supported my MACD, which hovers about the zero line where the triangle unfolds. 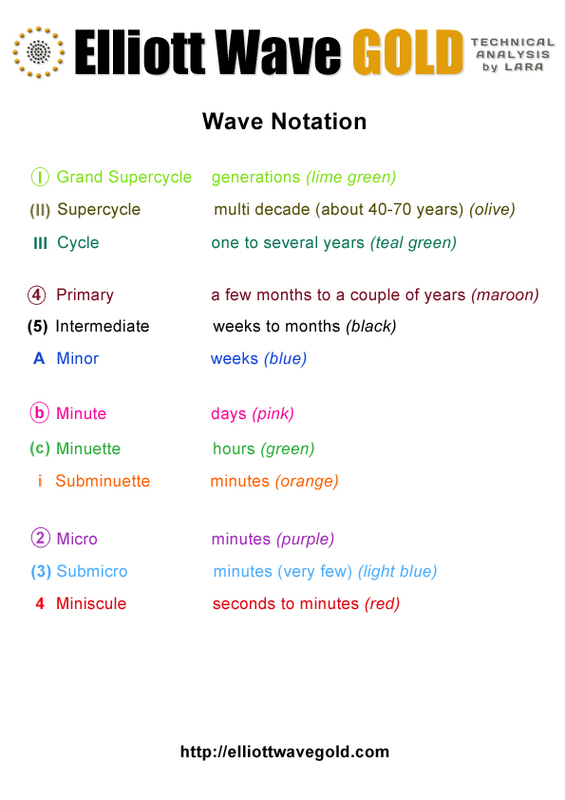 Ratios within minuette wave (c) are: subminuette wave iii has no Fibonacci ratio to subminuette wave i, and subminuette wave v is 0.020 longer than 4.236 the length of subminuette wave i. Ratios within subminuette wave iii are: there is no Fibonacci ratio between micro waves 3 and 1, and micro wave 5 is just 0.014 longer than 0.618 the length of micro wave 3. The channel here is a best fit. It is clearly breached by upwards movement. This may be an early indication that minute wave b is complete. Silver has pushed further down beneath the 15.706 target. Is the new low minute wave v of 1?